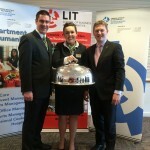 LIT recently hosted the ‘Ireland Skills Restaurant Service’ national finals for the first time. The Ireland Skills National Competition is a prestigious event, run on an annual basis and attracts the best trainee crafts persons from around the country to compete for first place in Ireland and win the coveted Department of Education and Skills Silver Medal in their respective skill areas. 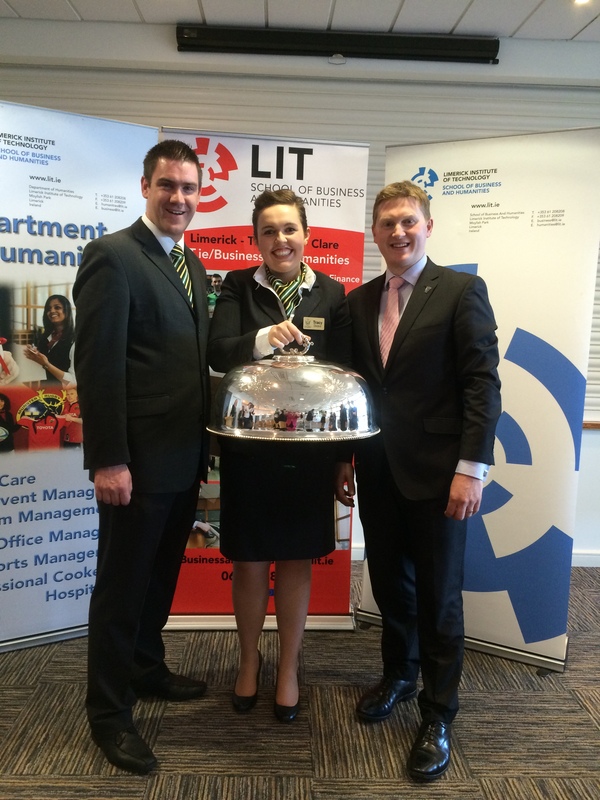 National winners may be chosen to represent Ireland in the biennial WorldSkills competition. This year’s event proved to be a great success with a total of five students participating, representing Waterford Institute of Technology, Shannon College of Hotel Management and Limerick Institute of Technology. Tracy Deane and Cillian Moran represented Shannon. The event provides participants with an opportunity to showcase their restaurant service skills, developed through relentless commitment to training and development, over a two day competition, testing skills such as cocktail making, napkin folding, flambé, and food and wine service. The competition finished with Tracy taking the top prize. Well done.